A Victorian dancer described as ‘the complete package’ has won the $20,000 cash award. Chris Rodgers-Wilson, a 25 year old from the Melbourne suburb of Camberwell, received the generous $20,000 cash prize last Friday night at the Sydney Opera House, following the opening night performance of Alexei Ratmansky’s Cinderella. The award is sponsored by the Australian Ballet’s Principal Partner, Telstra. Rodgers-Wilson, who returned to Australia in 2011 to dance with the Australian Ballet after working in the UK, won the award after being judged on several specific criteria over the course of the year, competing against five other young hopefuls. All six nominees documented their Telstra Ballet Dancer Award journey via the social media platform Instagram, amassing over 3500 followers and delighting fans with a fascinating visual insight into their daily lives as ballet dancers. During the award presentation, Telstra Group Managing Director Warwick Bray said he was delighted to have the privilege of supporting Rodgers-Wilson and the next generation of Australian ballet dancers. ‘We look forward to following his career for many years to come,’ Bray said. Australian Ballet Artistic Director David McAllister praised Rodgers-Wilson’s dedication and skill, calling him the ‘complete package’. ‘Chris really is the complete package as a ballet dancer; shining technique, onstage charisma and a strong offstage work ethic make for a winning combination. I’m so pleased we were able to lure him back from the UK to further develop his talents here at home,’ McAllister said. Born in England, Rodgers-Wilson was raised in Melbourne and trained at the Camberwell District Ballet School, later moving to London to hone his technique at the Royal Ballet School. 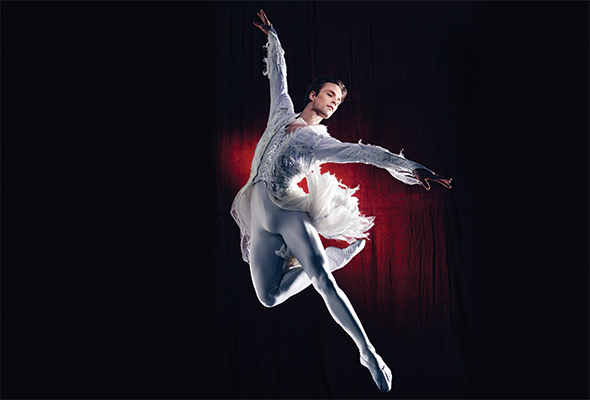 He began his professional career in 2007 dancing with the Birmingham Royal Ballet and has since built a steady reputation for himself, with his promotion to coryphée being his most recent accomplishment this year. The 2013 Telstra People’s Choice award and $5,000 cash prize was won by 19-year-old ballerina Benedicte Bemet, from Mackay in Queensland. Other nominees included Cameron Hunter, Natasha Kusen, Sharni Spencer and Valerie Tereshchenko.